History of Medicine and Ethics Journal is an international, open access journal founded by Massimo Fioranelli. The Journal deals with ethical issues in treatment and management of diseases. History of Medicine and Ethics Journal provides a forum for healthcare professionals, theologians, philosophers and sociologists to exchange their ideas from several aspects in relation to medical ethics and bioethics. Topics covered include global health ethics, access to health care, reproductive health ethics and research ethics bioethics, the history of medicine, and the social and cultural aspects of medicine. Manuscripts can be submitted in the mode of Research Articles, Review Articles, Mini-review, Case Reports, Opinion, Editorials, Rapid and Short Communications, Commentary as well as Letter to Editor from its readers. Submitted articles are subjected to stringent peer review and revision process before being accepted for publication, to maintain quality and significance of journal. The articles published are made freely and permanently accessible online immediately upon publication thus improving the citations for authors and attaining a good impact factor. 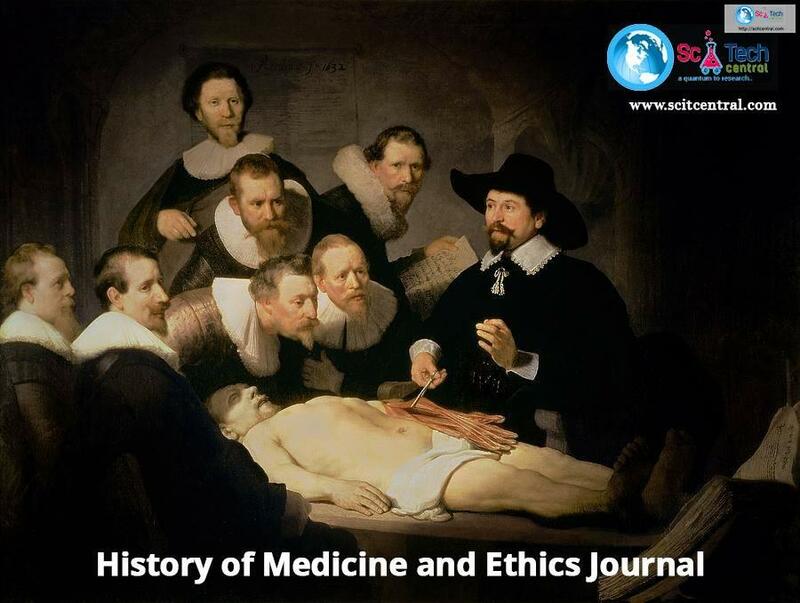 History of Medicine and Ethics Journal welcomes submissions of manuscripts via Online Submission System or via email to the Editorial Office at submissions@scitcentral.com.